After a week of rain (and snow at altitude) the sun finally appeared. 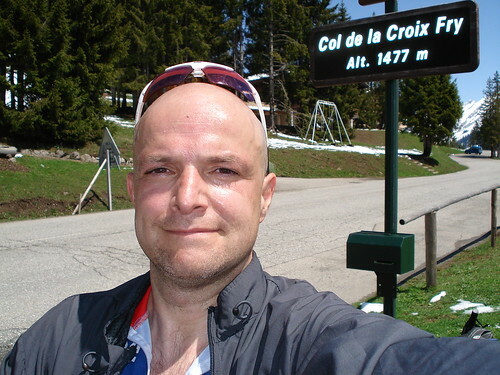 For the 3rd time in the last 3 years i decided to climb the Col de la Croix Fry (featured in Tour de France a couple of years back. I parked in Thones and the real climb starts about a km from town. An uneven 12 kms climb averaging 7 % but with easy parts and very steep parts. With fresh snow up high and the lush green lower down the views were stunning. I am clearly still a bit away from fitness as I find parts hard going – but persevered. At the top, is the Manigod ski station. Following a little road to the right leads to the Col de la Merdassier. 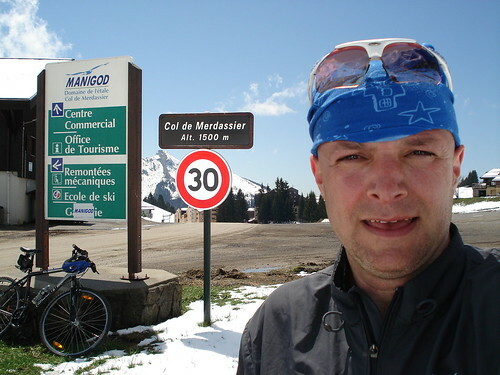 On the way up I saw a sign leading along a small road to the Col de Plain-Bois (a Col of which I was unaware). So on the descent I decided to explore. What a great route. I never saw a car as I climbed this steep route winding through alpine farm country. At the top was a nice auberge so I ordered a Crepe confiture (Jam) and caught my breath. The owner told me that descending the other side of the Col was in fact a short cut back to Thones- sweet. Great Ride. 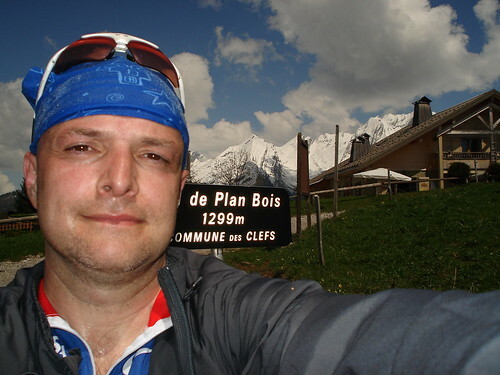 Especially the extension up to Col de Plan-Bois.